When Can Client Confidentiality be Broken? As a therapist, your relationship with your clients has therapeutic, economic, and legal dimensions. These relationships are governed by laws which require confidentiality on your part as a therapist. Confidentiality is a legal construct which prevents the disclosure of the events of therapy. Therapist confidentiality gives the client the assurance they can share whatever they want with you. Nonetheless, there are a number of critical limits of confidentiality in counseling. In some cases, due to forces outside your and your client’s control, your client can’t expect you to keep their disclosures private. Certain exceptions to confidentiality in counseling are at your discretion. In other cases, you are obligated to breach confidentiality in the name of public safety or your client’s health. 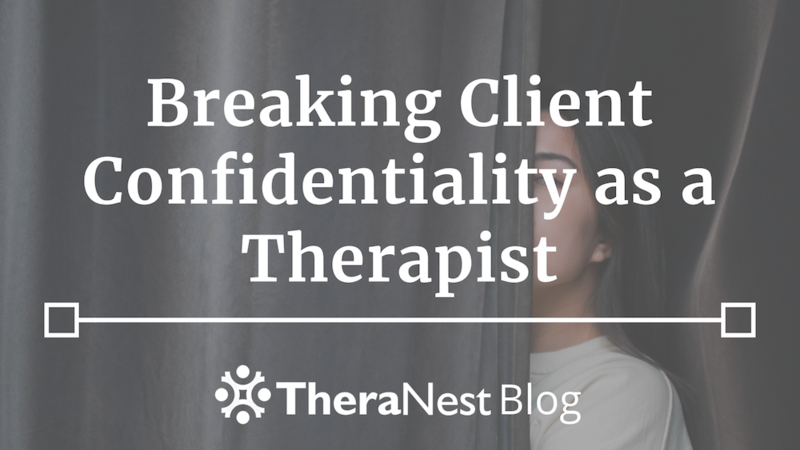 In this article, we’ll discuss the concept of therapist confidentiality, describe when to break confidentiality in counseling, and give you a handful of tips on using your best judgment to keep confidentiality as intact as legally and ethically mandated. Confidential information is information which is produced by a person who has a reasonable expectation that the information will only be shared by other people with the explicit consent of the person who produced it. Confidentiality of information is applicable without any time limit unless otherwise specified by the originating party. The therapeutic relationship between a therapist and their client contains an abundance of confidential information. This means that it cannot be shared without the consent of the client. Confidentiality applies legally to information which people are exposed to firsthand, but also secondhand. In other words, if you handle a piece of confidential information, you may be in a breach of confidentiality if you were not the one who was explicitly authorized to see the information or to disclose the information. Confidentiality is encoded in the HIPAA privacy rule in the US. If the regulations regarding confidentiality are breached, there can be legal recourse against all of the parties who were involved in the breach except for the originating party. As a therapist, you are obligated to uphold your profession’s ethical standards. Your clients have a right to privacy, and you have a duty to hold up your end of the bargain by respecting that right. Clients will share their most intimate problems with their therapists, and they do so with the understanding that their comments will not leave the room. Without the legal guarantee of therapist-client confidentiality, performing effective therapy would be much more difficult, especially if the client struggles with shyness or social anxiety. Furthermore, if clients couldn’t be certain of the privacy of the privileged communications they share with you, many wouldn’t be attending therapy at all. Confidentiality serves to protect clients from the outside world and provides a therapeutically essential way of compartmentalizing their life. As a legal construct, confidentiality protects your clients first and foremost. The proceedings of therapy sessions are not events which are open to the public record as a result of confidentiality, which means that clients are allowed to discuss things which might be problematic in a wider context. Clients can be emotionally secure when they confide in their therapist, and they can also be certain they are protected from most admissions of crimes or breaches of contracts so long as they are made during therapy. Confidentiality also protects the therapist to a much lesser extent by relieving the therapist of the obligation to testify in legal matters involving the client’s therapy. If confidentiality were not enshrined in law, therapists could be compelled to testify regarding their client’s therapy for various legal or criminal proceedings, which would be a substantial amount of unpaid time resulting from therapeutic work with a client. Lastly, confidentiality laws protect the state. If confidentiality had to be agreed upon with a unique contract between every therapist and client, breaches of that contract would inevitably end up in court. This would add an additional burden to the court system, which confidentiality laws mitigate by preemptively defining critical elements of the legal and economic contract between therapist and client. Which Circumstances Are Exempt from Confidentiality? There are a handful of situations in which the normal rules regarding confidentiality do not apply. These exceptions to confidentiality in counseling crop up fairly frequently, and therapists need to know how to navigate them because they’re intertwined with essential business practices like billing. These situations do not necessarily obligate the therapist to breach confidentiality, but rather pertain to the situations in which confidentiality is subject to structured disclosures. Knowing the difference between these sanctioned openings in confidentiality and the situations where therapists are obligated to report a breach is critical to understanding confidentiality as a whole. Of these situations, only the first obligates therapists to break confidentiality. The limits of confidentiality in counseling stop at the gate whenever clients express the intent to harm themselves or others. Which Situations Obligate Therapists To Break Confidentiality? Knowing when to break confidentiality in counseling is key because there are certain situations in which the therapist is legally obligated to do so. If the therapist confidentiality is not breached in these cases, the therapist may be subject to censure if there is subsequently a discovery of their failure to fulfill their legal obligation. These are general guidelines which should alert every therapist that they have reached the limits of confidentiality in counseling with their client. If therapists expect to approach these limits regularly with a given client, it may be helpful to explain to the client the obligations of the therapist. Nonetheless, doing so will likely compromise the therapeutic relationship with the client at least to a small extent. Explaining the limits of confidentiality before starting any therapy whatsoever may be a preferable choice to allowing a client to unwittingly breach confidentiality and then have the therapist’s legally-obligated actions land the client behind bars or in a mental institution. Confidentiality legislation varies substantially from state to state and also from country to country. Nonetheless, there are a few commonalities to laws surrounding confidentiality. Generally, a court order will compel you to testify in instances where confidentiality does not apply and there is a legal interest. You may want to consult a lawyer to ensure that the breach of confidentiality is valid, but you will likely have to testify anyway even if the lawyer finds that it is not. Clients can also structure any and all breaches of confidentiality. Their care is at their discretion to disclose to anyone that they want, at any time. Furthermore, clients can compel you to share disclosures where it might be legally relevant for them. When clients self-disclose or request the therapist to breach confidentiality, it does not imply the complete suspension of past or future confidentiality, only the specific disclosure. If court records containing a disclosure are sealed, even partial disclosures can be put back into the protection of confidentiality. Finally, many municipalities differ with regard to confidentiality as it pertains to clients who are deceased or incapacitated. Generally, therapists should assume that confidentiality remains intact with clients who are deceased. Nonetheless, there is often wider legal leeway to breach confidentiality for deceased clients, so be aware. A large degree of discretion sits with the individual counselor regarding when to breach confidentiality. Notably, many depressed clients may express suicidal thoughts. Likewise, many clients with anger issues may express violent thoughts. The fact a client has merely expressed these thoughts in the context of seeking help for them is not cause to breach confidentiality. Instead, the standard which many therapists use is the prospect of intent. If a client expresses something and describes it as a feeling or a desire, it is not necessarily their intent to make good on the action which would be problematic. Thus, therapists should use their best judgment to determine when their clients have an intent to harm themselves or someone else when measuring when to breach confidentiality. Because many states have mandatory reporting of suspected child abuse, the therapist’s judgment is more constrained in these cases. Ensuring the health of the client is the biggest concern, which means the therapist may want to consult the client regarding how to breach confidentiality regarding abuse when it is legally obligated so as to ensure the client gets the best outcome possible. Remember, you shouldn’t breach your client’s confidentiality without at least considering whether to inform the client that their disclosure has obligated you to take wider measures. For younger clients, you will need to understand your role as a legal entity is balanced with your role as a therapist. Some clients may react badly to statements describing your legal obligations. There is a small chance that some clients may become violent towards you. As always, any instances of your client behaving threateningly toward you are not protected under confidentiality. You should not be afraid to reach out to the relevant legal authorities to get help if one of your clients is threatening you, as in this situation the risk to your health outweighs any confidentiality considerations. If you’re interested in learning more about confidentiality requirements in your state, check out the National Conference of State Legislatures’ guide to mental health professionals’ duties regarding when to break confidentiality in counseling. The primary differences between states is around whether confidentiality breaches regarding certain situations are permissible or whether they are mandatory. Especially with regard to instances of suspected or confirmed child abuse, the penalties associated with not performing your legally obligated duties may be stiff. If you plan on starting a new practice in a new area, you absolutely must read up on the confidentiality requirements specific to the region. Clients may not necessarily know the details of confidentiality unless you explain it to them in detail — don’t make assumptions that they might know the relevant laws or regulations if those laws have recently changed. Understanding when clients have a right to privacy and when they do not is critical to being an effective therapist, especially if you plan on working with populations of clients who are at high risk. Keeping track of the different confidentiality exceptions and obligations isn’t as hard as it may sound. Most of the time, your primary interactions with confidentiality will be the paperwork that you share with your client during onboarding. Afterwards, future interactions between you and your client will be covered by the appropriate amount of confidentiality that allows them to access resources like insurance providers or prescriptions without any untoward disclosures. Managing the documentation and information regarding the confidentiality status of your clients may become daunting as you accumulate more history with clients and a broader range of clients. 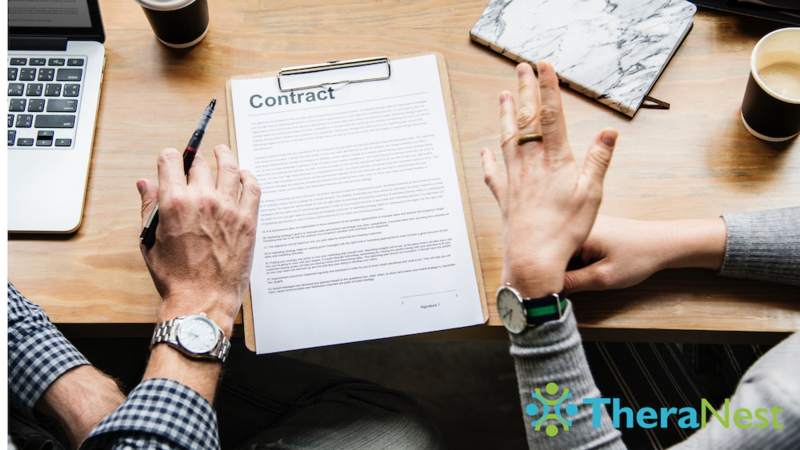 As a result, many therapists turn to software which helps them to keep track of confidentiality agreements and maintain the security of their clients’ information so as to stay in the good graces of local and federal confidentiality laws. 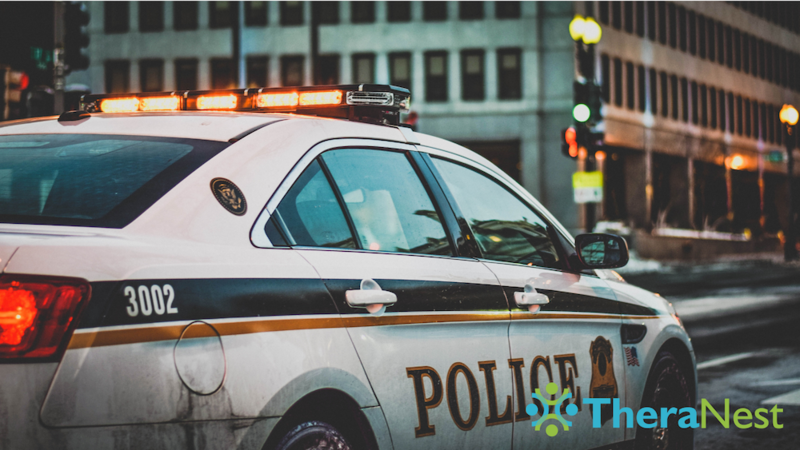 Using a therapy note software such as TheraNest will ensure that your client information remains confidential until you opt to break it as required by law.